Stylish, elegant Beach House. Intimate sea views. 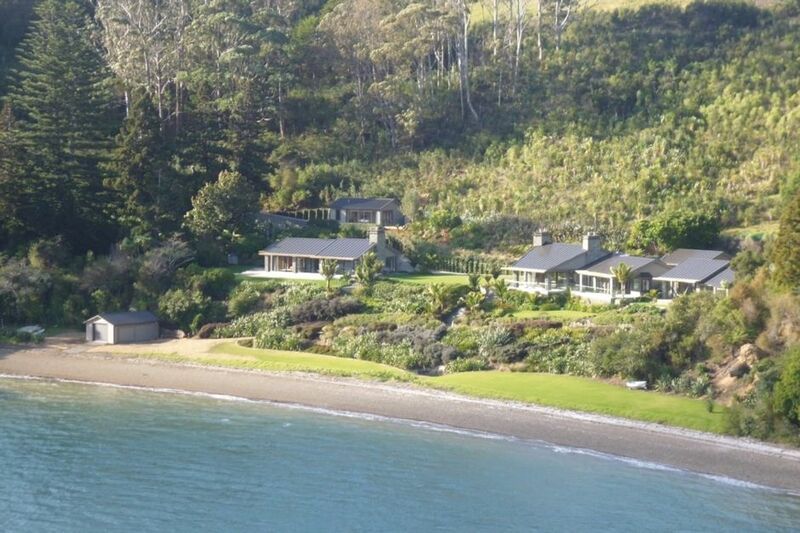 Private access to 500m of secluded beach front. Calm sheltered waters. There is a separate Wellbeing Studio, Te Hine Ruru, on site. Therapeutic Massage, Reiki, Meditation and other energy therapies, as well as private yoga classes, are available on request. Separate charges apply. Complimentary use of kayaks, paddle board, swimming raft, other Watercraft, and mooring is at Users risk. Conditions apply. Most life jacket sizes can be provided on request. The property comprises the Beach House, a Wellbeing Studio, and the owners private residence. Both houses share a 900 metre gravel driveway. Please drive with care. Historic Russell is 5 minutes drive. Enjoy the great restaurants and cafes. A full range of tourist activities are available - including 'Swimming With the Dolphins', parasailing, yacht/boat charter, game fishing, 'Hole in the Rock' boat cruise, and the Treaty Grounds at Waitangi. Beautiful islands to discover. Fantastic beaches and walks, including the Paihia-Opua-Russell 'Full Circle' Coastal Walkway. We will usually be on site, the beach and driveway are shared spaces. Maximum occupancy is 6 guests. No additional guests. No loud noise after 10 p.m.
Complimentary use of kayaks, paddle board, swimming raft, other Watercraft, and mooring is at Users risk. Conditions apply. Everything about this place was amazing. Perfect spot to go to an unwind for a couple of days. The hosts were very polite and made sure that we felt at home straight away. This is a gorgeous property. We enjoyed making full use of the waterfront, swimming, paddle boards and kayaks. The beds and linens were very comfortable and there was a high standard of cleanliness. This was a perfect spot for relaxing and enjoying the views of the Bay! I would highly recommend this property. The house is beautiful and in a stunning location. The owners are very friendly and welcoming. We would definitely return in the future. Beautiful house, great amenities and truly amazing views. Lily Bay Retreat is an absolutely stunning location and like many other reviews, the photos just don't do it justice - you need to see it for yourself! The accommodation was a special occasion for us and had everything we needed including a few little extras. It's very private , peaceful and everything is immaculate. Highly recommend. you don't need to stay anywhere else! The house was great for our family of 6. The house was great for our family of 6. Very quiet (apart from the Weka’s and Kiwi’s at night) and super relaxing. The paddle boards and kayaks were well liked and well used. Bruce and Cushla were very helpful.